Hello Lily fans! I’m sorry for the delay with these updates. I’ve been very busy the past week and will be for the upcoming for my final exams. 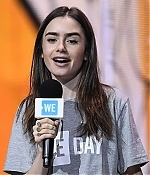 Back last Sunday (December 3), Lily attended the 6th Annual Breakthrough Prize. 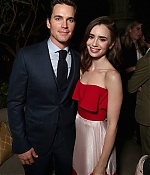 Lily was looking beautiful wearing a pink Prada dress. Check out HQ photos from the arrivals, backstage, and show in the gallery. 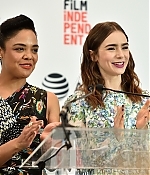 Yesterday (November 21), Lily with Tessa Thompson announced the nominations for the 2018 Film Independent Spirit Awards. 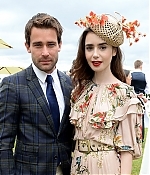 Lily wore a Zimmerman blue floral mini-dress. 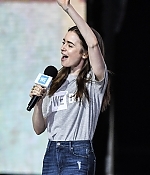 Check out HQ photos from the conference in the gallery. 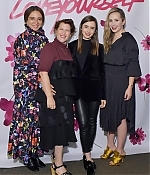 On Saturday (November 18), Lily attended the 2017 GO Campaign Gala held at NeueHouse Los Angeles. She looked beautiful wearing Ralph & Russo. Check out HQ photos from the arrivals and ceremony in the gallery. Last Sunday (October 1), Lily attended the Givenchy show at Paris Fashion Week. I have updated the gallery with high quality photos from the outside arrivals, front row, and backstage. Enjoy!